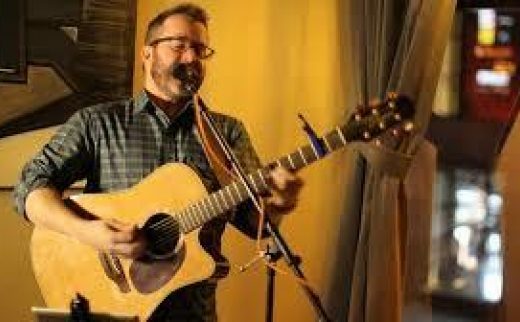 Chicago Singer Songwriter, Dave Tamkin, is currently living in Boulder, Colorado. He has created his own unique style of rhythmic-acoustic rock. His shows vary from intimate solo acoustic performances to a full band experience encapsulating a mixture of personal lyrics and skilled songwriting set against a high-energy percussive backbone. I was first introduced to AirTurn while I was visiting Brightwood Music in Nederland, CO. They had the OnSong App set up on the iPad display for anyone to use. Intrigued, I watched a customer seamlessly scroll and turn pages on an iPad by using a wireless foot controller. I later found out that I could control effects on my iPad as well. I have been using AirTurn for almost a year now and continue to show it off to fellow gigging musicians.